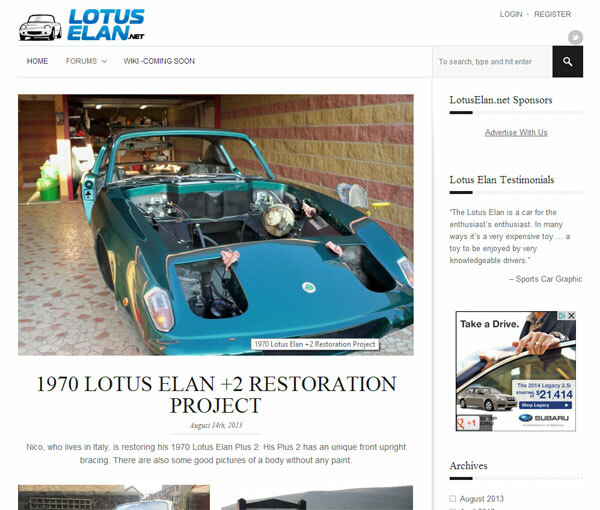 Website Details: LotusElan.net is a community based website that focuses on the original Lotus Elan and Lotus Elan Plus 2. The website has been existence since 1999. The website is fully integrated with a single sign on managed by phpBB. The site is a very active community with over 3000+ members.